As soon as Valentine's Day is over, I immediately start dreaming of spring. Late winter in the Midwest is a dreary, gray landscape. Not like the winter wonderland of December! So by the end of February I'm ready to pull out the bright colored construction paper and get some color on the walls. 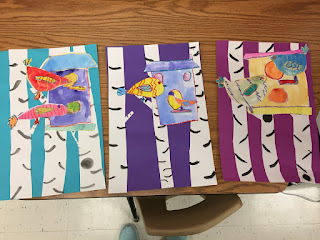 The first grade students took two classes to complete these adorable birdhouses. 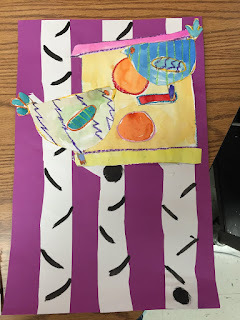 We were inspired by the pictures here. 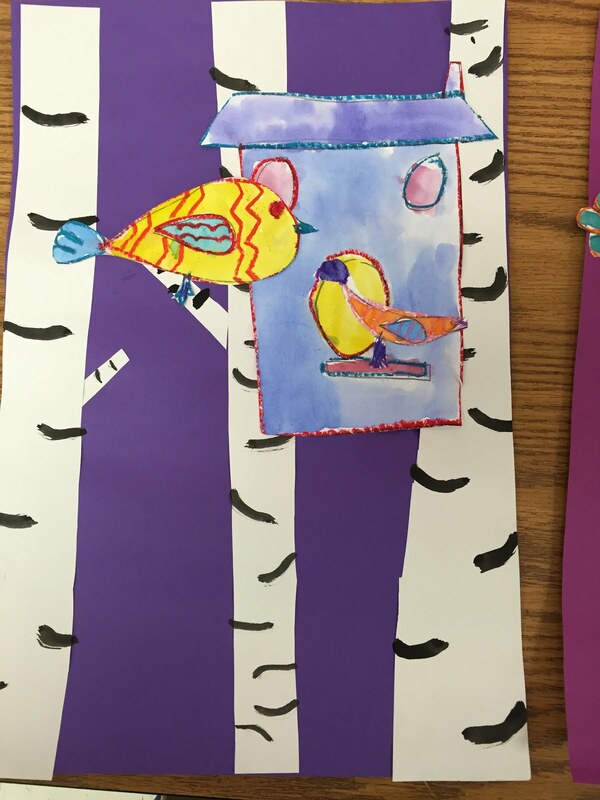 The first class was spent making the shapes of bird houses and birds, adding patterns with oil pastels, and painting with watercolor. 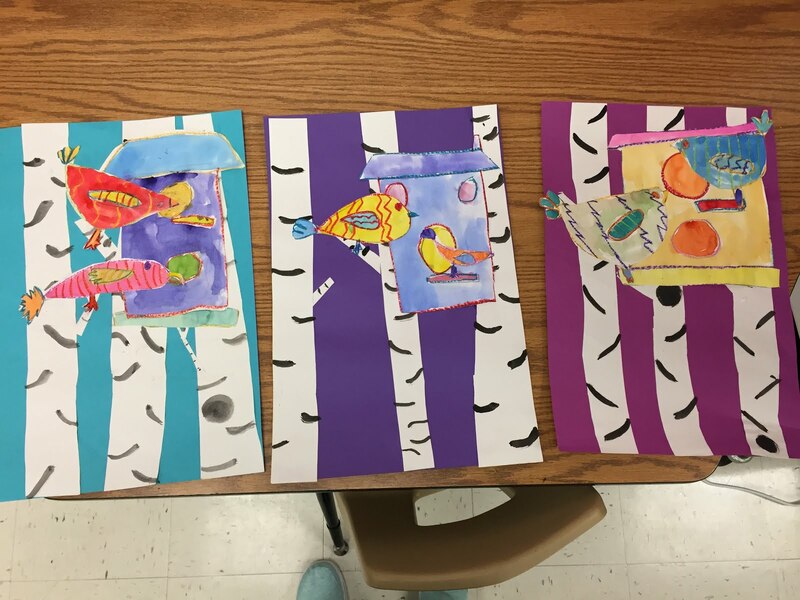 For the second class, we glued down white strips of paper to a colorful background and used black tempera cakes to make "wrinkles" on our birch tree trunks. Then we cut out our bird houses and birds and glued them in our trees. The really add a splash of color to our dull winter and help us look forward to spring!